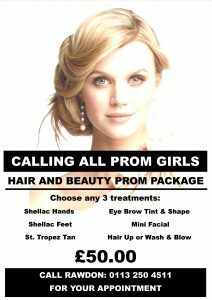 - Feel gorgeous from head to toe with our complete hair and beauty Prom Package! Feel gorgeous from head to toe with our complete hair and beauty Prom Package! Feel gorgeous from head to toe with our complete hair and beauty Prom Package carried out by our specialist hair and beauty team. 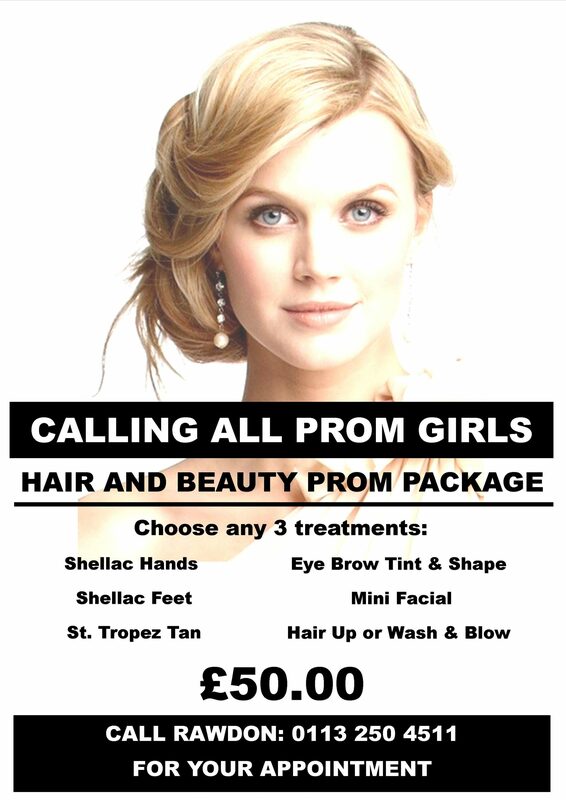 Please call our Rawdon Salon for further details or to book your complete Prom Party Package.